Conveniently located near Washington's Dulles International Airport, and just 30 minutes from our nation's capital, South Riding Golf Club features an 18-hole, par 72 championship golf course, a cozy comfortable clubhouse and excellent practice facilities. This Dan Maples designed layout rolls among the hardwood trees, native grass meadows and water of the Northern Virginia countryside. 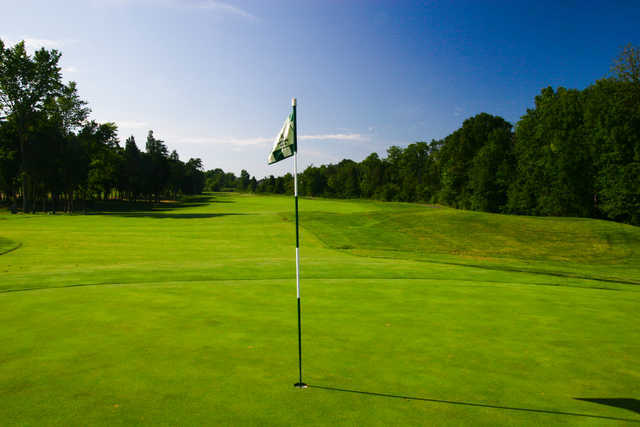 South Riding Golf Club is designed with the true golfer in mind, no matter their handicap. South Riding Golf Club would be pleased to host your Golf Outing. Whether entertaining your best customers, raising money for charity, or an employee appreciation day, South Riding offers a memorable golf experience for players of every ability. With an emphasis on quality and service, we are determined to make every customer feel at home. Imagine your guests or employees having their every need exceeded and you receive all the credit. In other words, let us do all the work for you. We take our role very seriously in making your event a great success!